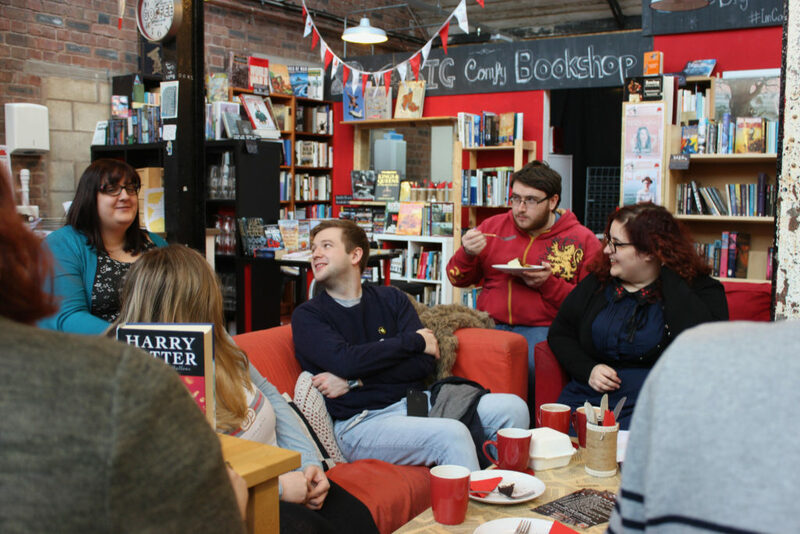 Following a quick chat with Michael at The Big Comfy Bookshop, Coventry’s Harry Potter Discussion Group “Muggle Musings” was born! With the first one taking place last weekend, this will be a monthly event hosted by yours truly. And boy, was I proved wrong. I know so very little really in comparison with the knowledge that people brought forward! After a heck load of prep work, researching tons of discussion questions I turned up at the shop with no idea how many people would be walking in the door! I was pleasantly surprised by the amount of people and the quality of the conversation we had. We discussed everything Magcial creatures related – from Dobby to Fawkes, from Boggarts to House elves. It was a brilliant in depth chat for such an easy topic and I cant wait to get into a more detailed theme! What a great bunch of nerds! I was seriously impressed by people’s knowledge and the passion with which people spoke about the Wizarding world. The conversation flowed so well and everyone was so friendly. 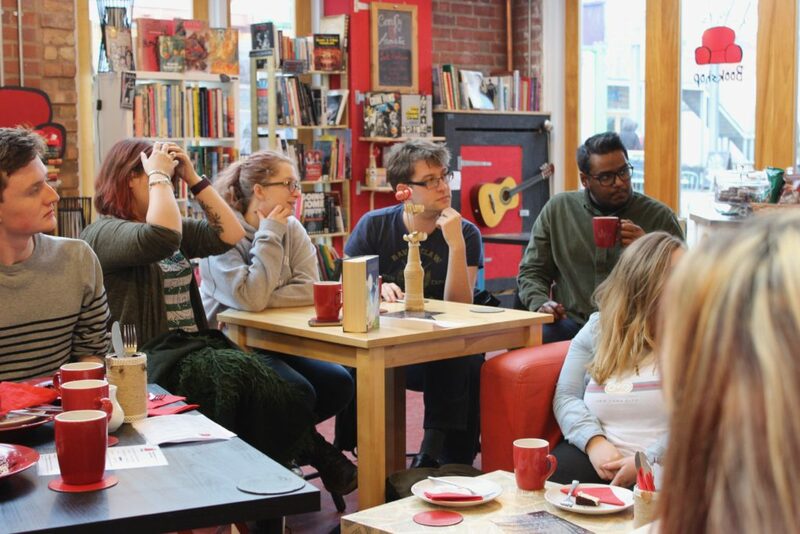 I was also surprised to learn that so many of us were feeling anxious beforehand and I am really happy that people came along despite their initial fears and found a little haven of discussion we could all feel comfortable in. I thought as I am talking HP, that this would be a perfect opportunity to discuss these lovely things I was sent by Magic Alley. 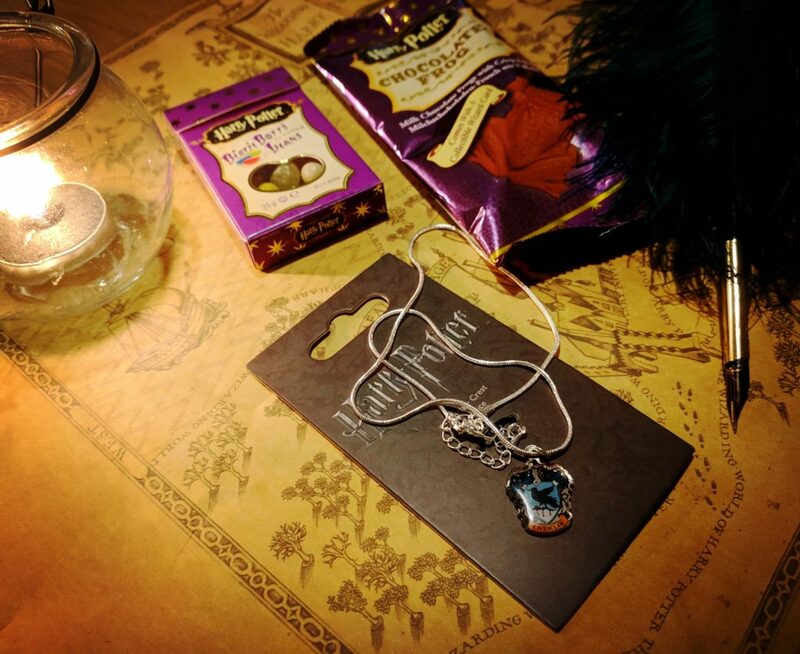 They are a new independent Harry Potter merch stockist and they were kind enough to send me some bits and pieces! I wore this Ravenclaw necklace to my discussion group (in case my house wasn’t obvious enough to people!) and made sure to wolf down the chocolate frog beforehand (for my nerves!). I can’t describe how happy I am at the turn out and how excited I am that the next one is only a few weeks away! I had SUCH a good time, and it was really nice to meet other people who are also into Harry Potter! You did good, boo! Was such a great event! Got me out of my comfort zone and really looking forward to th me next one. You did amazing hosting too! 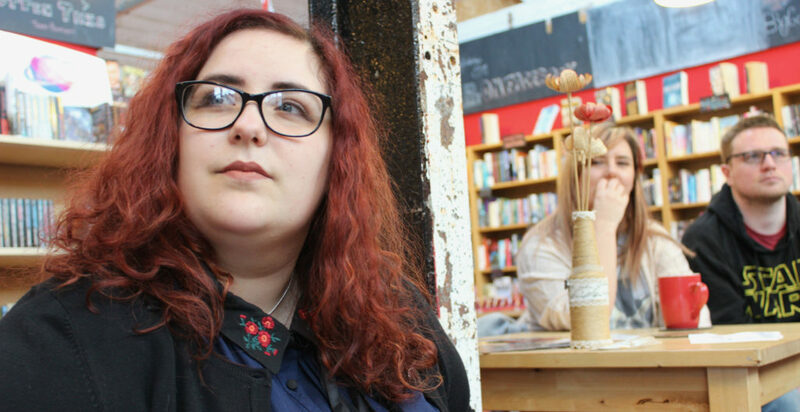 Pingback: Major Adulting: Hosting Coventry Bloggers First Mixer Event!